With so much to see and do in Vietnam, from the bustling city to the remote areas of stunning natural scenery, your tourist wish list begins to write itself. Imagine looking out of an airplane window going over all the imagery of Vietnam in your mind. Once you get off the plane, your adventure begins. Getting the most out of your trip means knowing how to travel in Vietnam. Vietnam offers a variety of transportation methods. Many are conventional like taxis and trains, but some may be novel to you. For example, you may have a chance to ride a cyclo for the first time. Wouldn’t that make a fun Instagram post? 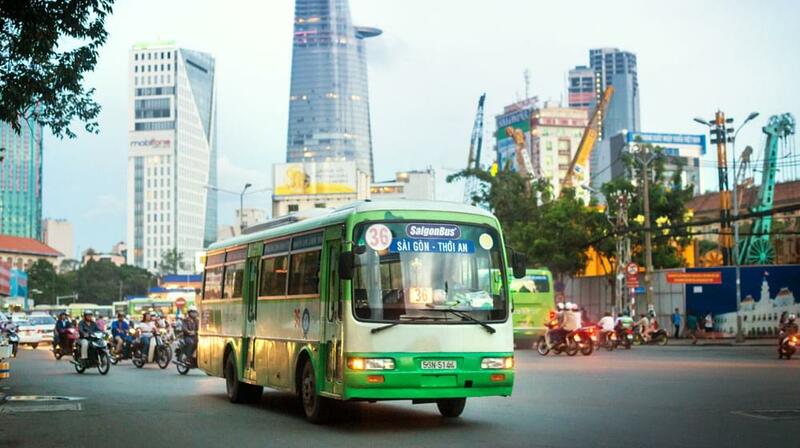 Let’s explore the Vietnam transportation means that will get you to all the spots on your wish list. Likely the most convenient and hassle-free way of getting to your accommodations is to book a hotel which offers a pickup service. With this perk, you won’t have to search for a taxi and your driver will already know where to take you. If your hotel does not offer this amenity, your next option is to find a ride at the taxi stand. Though you are tired from the flight, be careful about whom you accept a ride from. The first offer may not be the best, and you could wind up getting ripped off. It’s possible that a shady taxi driver could extort money before taking you the rest of the way or before returning your luggage to you. Some may even take you places you did not intend to go. 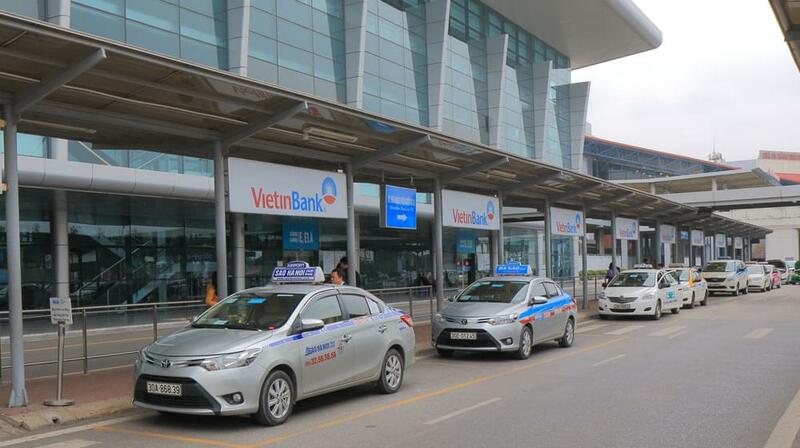 But don’t worry, there are reputable taxi services for transportation in Vietnam such as Vinasun. You wouldn’t want a bad taxi experience to put a damper on your first day in Vietnam, so be sure to know the good taxis from the bad ones. The cost of a taxi ride to your hotel should cost 150,000 – 170,000 VND ($6.44-$7.30 USD). Expect to pay a standard airport fee on top of your cab fare. If your taxi driver provided great service, giving around a 23,000 VND ($1 USD) tip is appropriate. If you find yourself too tired to calculate the tip, round up your fare and have the driver keep the change. Bear in mind that tipping drivers is not expected. Another option for getting to your hotel is to use a rideshare app like Grab. Grab is the Uber of Vietnam. Uber service recently ceased in Vietnamese cities. Also, keep in mind, you may be used to a car picking you up with Uber, but in a metropolis like Saigon, you may be picked up on a motorcycle instead! 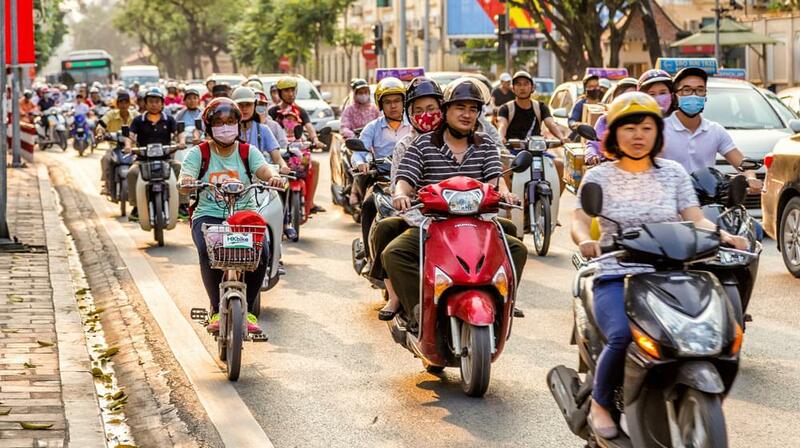 Millions of motorcycles and scooters flood the city streets of Vietnam. You’re likely to see locals loading an extreme amount of cargo onto these vehicles with only two wheels. Like taxi cabs, motorcycles and scooters are for hire for transportation in Vietnam. The fare for a motorbike ride should be about half the cost of a car ride, around 5000 or 6000 VND (21-26 cents) per kilometer. You’ll want to be sure to agree to the fare before you hop on. Or blend in with the locals and ride a motorbike yourself with a rental! Rental costs range around 16,000-47,000 VND ($7-$20 USD) plus the cost of fuel. Again, use your judgment when doing business with a taxi or a rental business to avoid scams. Compared to motorcycles, travel by bus is much slower. However, with a leisurely ride, you will get to view more scenery. If you’re wanting to check out something a little farther than walking distance, you may opt to take the bus as public transport in Vietnam, which will cost between 3,000 and 10,000 VND depending on the area. Carry small bills and confirm the fare amount before you board. Buses can be crowded, so be vigilant for pickpocketing. Tip: Use a GPS map on your mobile device to keep your bearings as you may not be dropped off close to the place you intended to visit. For travel into the country beyond the city, a private bus is a preferred method of travel for transportation in Vietnam. These buses are more comfortable. They are often air conditioned and provide Wi-Fi. As some trips are overnight, some will even offer sleeping compartments. For trips overnight, take precautions against theft. Make sure your luggage is locked and perhaps sleep on it as a pillow. Keep your mobile device and other valuables secure upon settling in for the night. 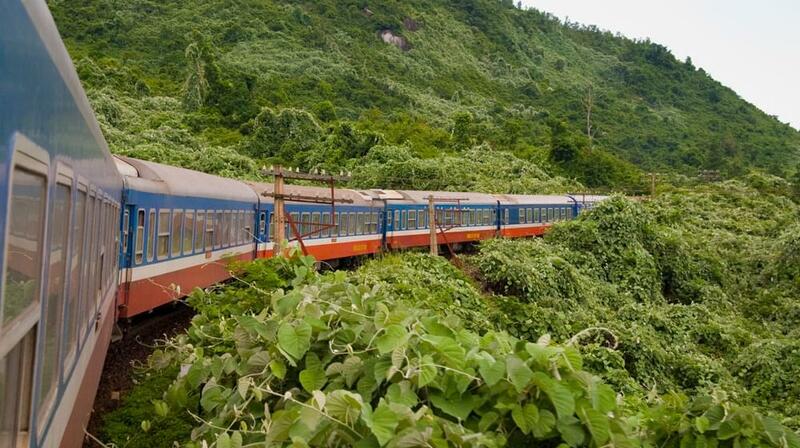 Vietnam train travel is a preferred way to journey cross country, and like the bus, it’s another way to take in plenty of Vietnam’s beauty. Seating classes range from a hard seat without air-conditioning to a spacious soft sleeper. Some trains offer the upgrade of private carriage. These carts attached to the train are the most comfortable of accommodations and ideal for the long north to south travel stretch. Hard seat: This is an un-cushioned seat in an area that’s filled with cigarette smoke. It’s known for being unclean. Soft seat: This cushioned seat is more comfortable. It may include a television. Hard sleepers: Include six reasonably comfortable bunks, though the ones at the top offer less space. Soft sleepers: With six cushioned compartments, this area is less cramped. Train travel is less expensive than plane travel. A trip between north and south costs around 14,000 VPN ($60 USD). The prices will be higher for comfortable accommodations and for faster transit. Tip: For long bus or train trips, pack food to eat and pack light. Chances are, beautiful places such as Ha Long Bay or the Con Dao Islands made your must-see list. 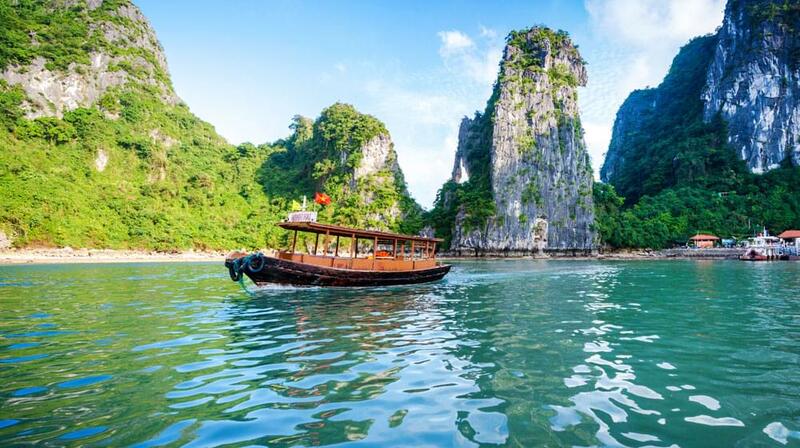 For destinations at sea, travel by boat is in order for seafaring transportation in Vietnam. Speedboats are the faster way to get to places like Vung Tau, Can Gio and Pho Quoc island. These rides can be as short as an hour and a half. Prices range from 70,000-230,000 ($30-$100 USD). Some speedboats will take tourists to excursions such as snorkeling. At around only 10,000 VND, the ferry is a low-cost way to brings travelers across the river and to most islands. The transit duration for a ferry ride is around 4 hours. For those who would prefer an even slower pace, cruises along the bay and river range in duration from a half-day to two days. A Mekong river tour starts around 88,000 VND ($38 USD) while a two-day cruise of Ha Long Bay costs around 290,000 VND ($125). While out on the water, you may have the opportunity to see a fisherman on a coracle. This unique boat appears as a round basket and is made from bamboo. 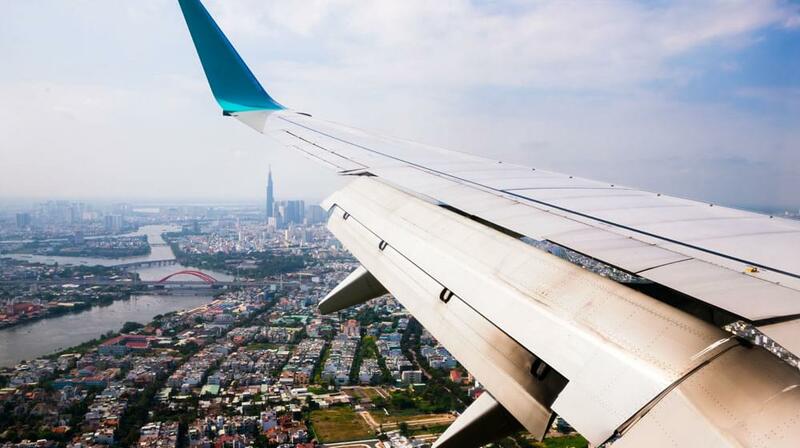 Perhaps you do want to take that long trip from Hanoi to Ho Chi Minh City and taking the train or the bus will eat too much of your time budget. 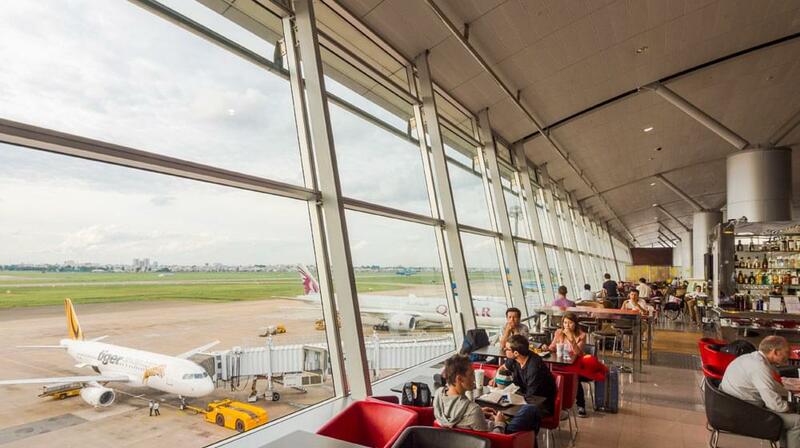 With over 35 airports in Vietnam, it’s easy to coordinate air travel for domestic flight transportation in Vietnam. Vietnam Airlines, Jetstar, Viet Jet Air, and VASCO are the domestic carriers. Vietnam Airlines boasts the most coverage. Competition amongst them keeps the fares low, so you may end up paying about the same or less as you would by train or by boat. Though you would miss on some of the scenery with the altitude of a plane, an adventurous helicopter ride would have you close enough to the ground to see a spectacular panoramic landscape! These services are located in Ha Long, Sapa and Cat Ba. The most expensive so far, this zippy tour starts at about 100,000,000 VND ($420 USD) per person! Novelty adds to the travel experience and makes for great pictures. Here are some tourist favorites you may not be able to do back home, so live it up! Cyclo or rickshaw: Passengers get a great view by taking the front seat of this special bike. Xe lam: a bus-like vehicle built around a motorcycle that seats 8-10. Xich lo: a three-wheeled taxi, your driver plus two. 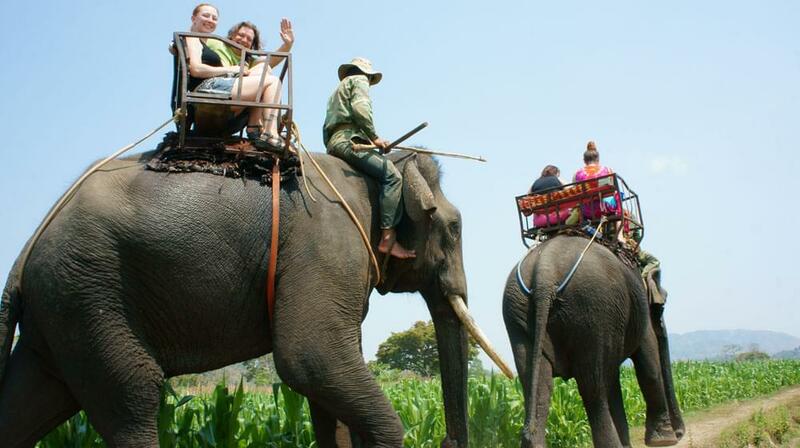 Elephant ride: See the Central Highlands atop an elephant’s back. Cable car: See the lush coast from a gondola way up high!